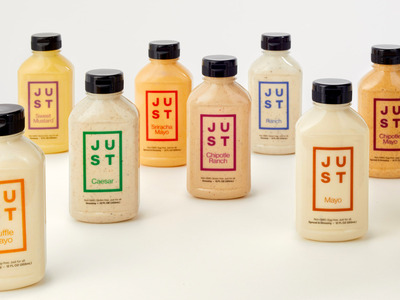 Just Egg, the latest retail product from Just, Inc., is vegan. 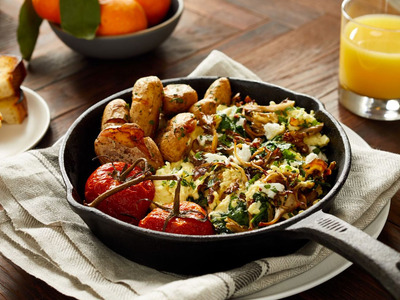 Just Inc., the Silicon Valley food startup known for its Just Mayo and egg-free cookie dough, will finally be selling its vegan scrambled egg product in grocery stores. The product, called Just Egg, has been six years in the making. Difficulties creating the right texture, flavour, and shelf-life held the product back since the company first began talking about it in 2011. Since its founding in 2011, the $US1.1-billion vegan food company known for its Just Mayo, vegan cookie dough, and controversial track record, has been promising an animal-free scrambled egg product that could be purchased in grocery stores. The company’s mission is to transform the way we eat by swapping the animal products we eat for equally tasty plant-based goods. And in two weeks, big box retailers like Gelson’s in Southern California and Safeway on the East Coast, along with a handful of Midwestern chains, will become the first stores to carry Just Egg. It will be sold alongside regular eggs. For the company, Just Egg “was definitely a signature product,” Josh Tetrick, Just’s co-founder and CEO, told Business Insider. But that holy grail of an animal-free scrambled egg product turned out to be harder to make than the company initially envisioned. 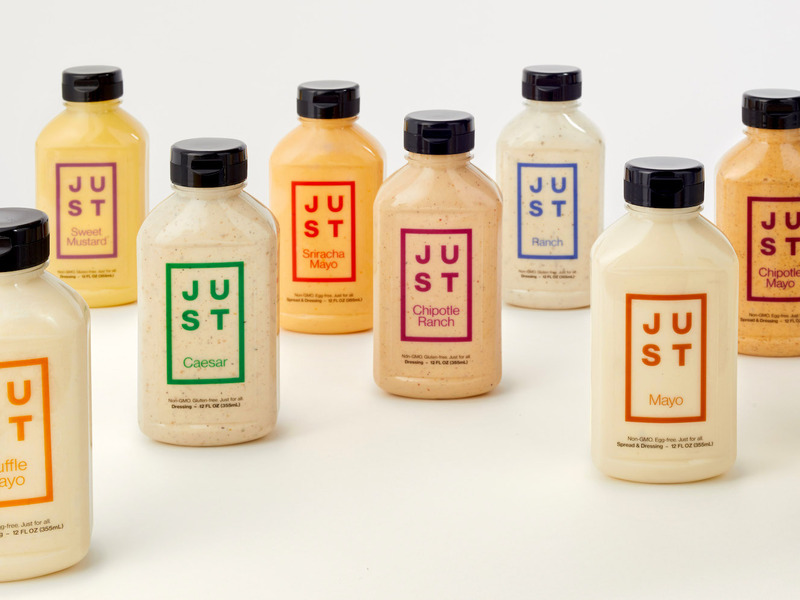 Just Inc.’s ‘Just Mayo’ is made without eggs. When Tetrick first started trying to create an egg-free scrambled egg product, he figured it wouldn’t take more than a few months. But that’s not what happened. Not only was it difficult to get a product that mimicked the texture and cooking time of traditional scrambled eggs, the flavour and colour were tough to nail down as well. “When I first started I thought, ‘You know, there’s so many plants out there, we’ll be able to find something that scrambles like an egg in no time,” Tetrick said. But every time Tetrick’s team came up with an eggless recipe, one variable was always off. “We’d find something that would gel like an egg but tasted too plant-like. Or we’d find something that had the egg taste but wouldn’t gel,” said Tetrick. Around the same time it was confronting these repeated challenges, the company also faced some public controversy. Allegations surfaced that members of the company had artificially inflated sales by buying up their own products. And former employees claimed to Business Insider that the company was using shoddy science, and spoke of an uncomfortable and unsafe work environment. But despite lagging behind on a vegan egg product that could stand on its own, the company succeeded at making a handful of other tasty items that normally require eggs. Vegan cookie dough, mayo, and salad dressing began to grace grocery store shelves bearing the Hampton Creek label. The company raised $US220 million. Then, finally, hope surfaced in the form of a humble bean. Plants are the centrepiece of Just’s operation. The company’s mission is to transform the way we eat by swapping the animal products in food for vegetable-based alternatives. Pea protein is the basis for Just Mayo, while Just Cookies and Just Dough are made with sorghum, a tall-growing cereal grain used widely in animal feed. But to create a stand-alone egg product with a texture, flavour, and scrambling time similar to regular eggs, Tetrick’s team had to look beyond sorghum or peas. Then they found mung beans. Mung beans give the liquid mixture the right consistency and nutritional makeup, along with a 60-day shelf-life. 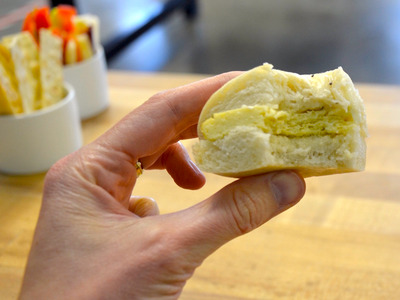 On a recent tour of the company’s headquarters, we gave the eggless egg a try. To us, it didn’t taste exactly like eggs on its own. But serve the steaming mixture atop a crunchy piece of toast or a bagel with a little seasoning, and we think it could fool most people. The new product, which is free of egg, dairy, and cholesterol but high in protein and sells for $US7.99 for a 12-oz bottle (the equivalent of roughly a half-dozen eggs), will be sold in 26 grocery stores across the country before the end of September. It’s also been accepted into Amazon Launchpad, the company’s brand accelerator program, which means it could also be sold on Amazon Fresh in coming months.